Music channel Vintage TV is no longer broadcasting terrestrially. Months after closing its Freesat service, the channel confirmed today that it had withdrawn its outlet on Freeview channel 82. In a brief statement, Vintage TV said it was "currently working on an exciting new way" for viewers to watch the channel. 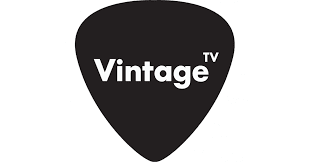 Beginning July 2016, Vintage TV was available to around 3/4 of the UK via Freeview, and also on various TV platforms that piggyback on Freeview, including YouView and EE TV. The channel is still live on Sky channel 367 and Virgin TV channel 343. Was it a money issue for it being pulled from Freeview? If so, would it be cheaper to go back to the way it used to broadcast by means of an IPTV streamed service? If not, then I'll just have to switch over to my TV's satellite tuner or my 'freesat from Sky' satellite receiver to continue watching it. Just hope NOW 80's doesn't leave Freeview too anytime soon.